Like everything in life, car batteries don’t last forever. If your car won’t start, there’s a good chance your battery is flat or dead and you need a qualified mechanic to check it out. If you’re located within 10km of our Cardiff workshop, we can arrange to come to your car and perform a battery inspection and test. We’ll find the cause of the problem, checking your starting system, alternator, drive belt and pulleys. 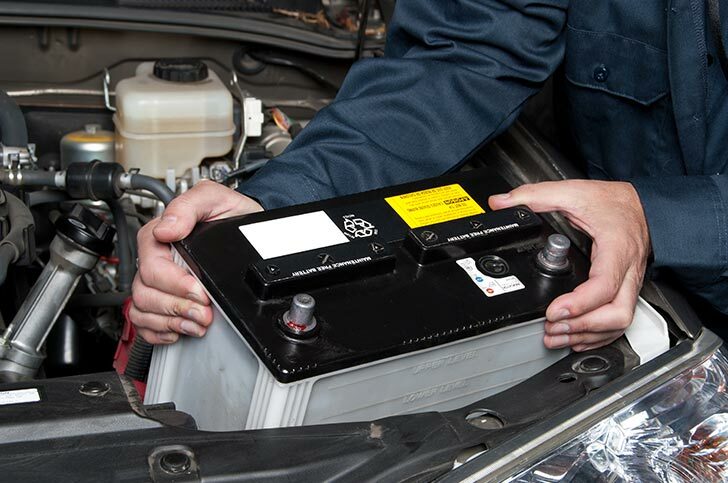 If it’s your battery that’s dead, we can replace it for you on the spot. We’ll also provide an estimate for any additional repairs that may be required. Cardiff Car Clinic stock a range of high quality, reliable, durable batteries to suit any kind of car or light commercial. We specialise in car battery sales, testing, and replacement. Call our friendly team and we can advise which battery you need for your vehicle and come to you to arrange a replacement.